The FAO Forestry Department helps nations manage their forests in a sustainable way. The Organization's approach balances social, economic and environmental objectives so that present generations can reap the benefits of the earth's forest resources while conserving them to meet the needs of future generations. ©FAOA former Director-General of the Rural Development Department of the Japan International Cooperation Agency, with special responsibility for the promotion of food security and nutrition in Africa, Mr Hiroto Mitsugi, a national of Japan, joined FAO in June 2017 as Assistant Director-General of the Forestry Department. Mr Mitsugi has an academic background in forestry, including a Bachelor's degree in Agriculture (Forestry and Forest Products) from Hokkaido University, Sapporo, Japan, and a Master of Science degree in Forestry Extension from the University of Reading, UK. In 1987 he began his professional career in the Forestry Development Division of the Japan International Cooperation Agency (JICA). In 1990, Mr Mitsugi was nominated as JICA Resident Representative with assignments in Malawi (1990-1993), Cambodia (2006-2009) and the Philippines (2011-2013). In 2006, he was also appointed Forestry and Nature Conservation Division 1 in the Global Environment Department, a position he held until 2009, the year in which he served as Deputy Director-General and Group Director for Forestry and Nature Conservation. He was also appointed, in April 2014, Senior Deputy Director-General for the Overseas Cooperation Volunteers. 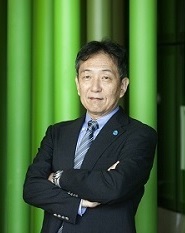 At the 10th Meeting of the Conference of the Parties to the Convention on Biological Diversity, in 2010, Mr Mitsugi was a donor-coordinator of mainstreaming biodiversity in development, and from 2010 to 2011 was a member of the reducing emissions from deforestation and forest degradation (REDD) consortium of Japan. Mr Mitsugi's last position before joining FAO was a Director-General of the Rural Development Department, JICA.